FYI: I would say we had between 300 - 400 come by the display, but we had at least 2000 view 14 of the cars that were in the Parade that started the day. The Parade was part of Poolesville Day. 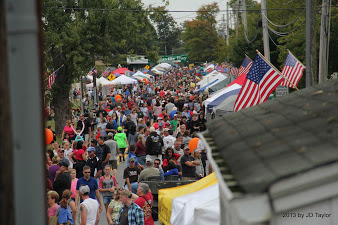 We had about 9,000 people come to Poolesville Day event (still waiting on the official numbers). We were on the far edge of the event and I estimated only about 450 came by us. 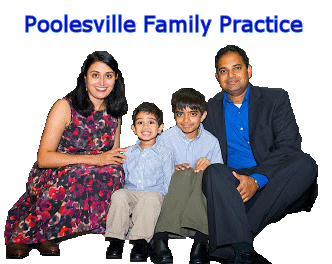 This is something we are going to work with the Town of Poolesville to change next year. Either we are going to change our location to be more in the center of the event or we are going to find another way to get traffic down to us. I will also be looking to have a committee of planners and helpers (instead of just me) and I plan on starting at least 6 months out. I want to report numbers in the thousands :-) next year. Any idea of when it will be next year? 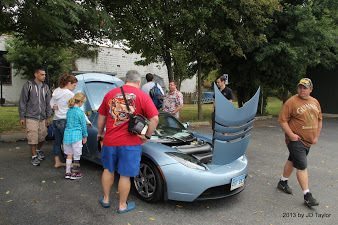 Composition of images show our National Drive Electric Event (visitors and owners). 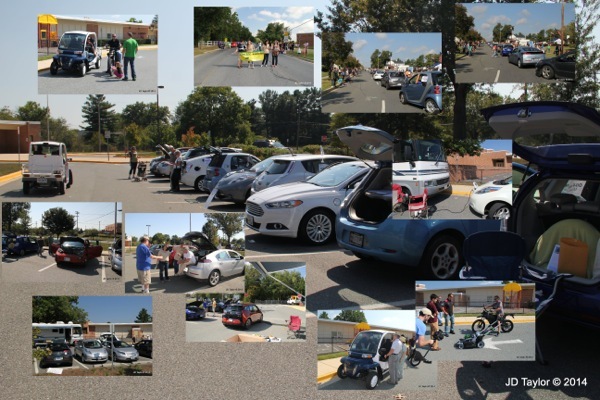 We had 14 EV vehicles participate in the Poolesville Day Parade. We had over 34 Electric Vehicles in the display show, including a Zero Motorcycle, BMW i3 and Tesla. We had several dealerships participate including (Mercedes-Benz - EuroMotorcars in Germantown, EuroMotorcars Germantown Smart, Ourisman Rockmont Chevrolet, Coleman PowerSports of Woodbridge and Falls Church and BMW of Rockville). I created a Facebook site to share photos, experiences and to prepare for next year: https://www.facebook.com/groups/PoolesvilleNDEW/. This will be BIG and Awesome!!!! The coolness of National Drive Electric Week! 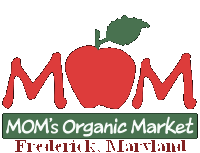 This event is being hosted by Poolesville Green in conjunction the Town of Poolesville and Poolesville Day, an annual celebration with a variety of food and activities that typically draws upwards of 10,000 people. 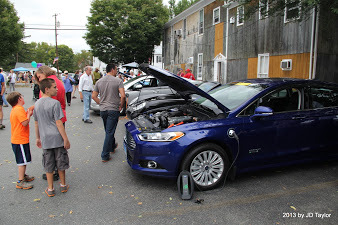 Poolesville Day is kicked off with a parade and your Electric Vehicle can join in! 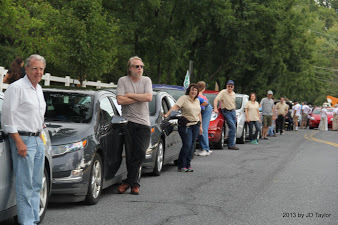 So register early, we can have up 25 Plug-In Electric Cars in the Parade....so many cars, yet so quite. Cars in the parade will be given (to keep) Drive Electric car flags. Car show participants will get free T-Shirts and lots of other free stuff. Let us know if you'd like to participate in the parade. You would need to arrive by 9:00 am to line up. The parade starts at 10:00 am. The National Drive Electric Week Show will begin at 11:30 am (can show up about 11:00 am). There will be free give-a-ways and free T-Shirts for participants. Please let us know if you would like to offer rides/drives to show guests. We have made arrangements with local residents who own EVs to allow charging at their homes if needed. 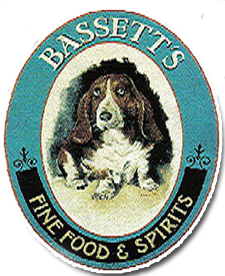 There are currently 66 attendees registered. Registered attendees report 275,434 electric miles driven.